Small businesses are challenged by formidable decisions and foreboding circumstances which on one hand harbor perilous outcomes or on the other, equally promising reward. Internet branding if not harnessed properly, is also one of such quandaries. Are you seeking higher conversions from your advertising and marketing efforts? Try building SEO value intrinsically by developing a distinct brand image for internet exposure. One example is the Internet Marketing Ninjas from We Build Pages, others such as the Sumo from heavy.com are viral marketing icons. Brand imaging can truly assist your company by distinguishing your website from your competition and provide an added incentive for others to spread the word, based upon the viral nature of your campaign. While getting there may be half the battle, arriving unscathed is highly unlikely. We are not suggesting that you don an online mascot, but visual aids (and other branding tactics) can assist tremendously and create contextual relevance for your message (such as the images we use in our blogs). Tactics like these are where link bait, promotions, competitions/challenges or other strategies like giving away plug-ins, widgets, offering free SEO tools, informative e-books or other online incentives can spark a chain-reaction to put your business on the map. Internet marketing methods differ distinctly from traditional marketing methods. So, how can you expect to leverage your online brand if you are using the wrong or outdated tools for the job. The value of SEO and social media promotion as vital part of your overall internet branding strategy speaks for itself. That is, if you are interested in the long-term organic placement for your site (as a result of the traffic and links they produce). Search engine optimization is just one piece of the internet branding equation, yet it is not the crowning achievement that can solve all of your marketing dilemmas. Just as social media is great for creating a stampede of traffic, but without the right bait, some argue that it rarely converts. The scope of the definition of conversion is based on your predication, for some sites a subscription to an RSS feed is the goal, for others they are seeking an immediate sale, while for other sites, just observing click behavior can be the purpose of the analysis. Like anything, it is a tool that has it’s place in the grand scheme of things (sometimes you need a hammer, other times you need a screwdriver) so knowing how and when to employ it, can be more pertinent than that the defining motive of why. You can walk the beaten path using known/tested fundamentals for ensuring that search engines and visitors alike can benefit from your internet advertising and marketing efforts, or you can take your machete and toil away until you find higher ground in which to plan your next grass roots campaign. Aside from content, visual appeal and “the it factor” play a role in the success of your companies online identity. Branding is synonymous with a embedding a particular mental and visual reference in the psyche of the consumer such as being (more reliable, faster, more effective, more affordable than the competition,”Solid as a Rock” etc. ), uniqueness is an absolute must. Therefore having the most compelling, yet inviting brand image is crucial in order to quickly communicate your prime directive to potential prospects. In a nutshell it’s all about shock value (making a memorable impression), referrals, and managing your exposure to yield the ideal brand image. That image in turn is what sells others to sell your company, it’s products or services. They say bad news travels fast, but good news travels faster. So think about positioning and grass roots word of mouth advertising x 1000 and then you can start to grasp the power of a well executed viral marketing campaign that spreads on it’s own accord like “The Whopper Freak Out” or “Elf Yourself” from the Christmas season of 2007. Your on-line “internet brand” may not always be synonymous with your “off-line brand” as each respective market is unique, as the methods used to convey urgency differ greatly as the audiences are often from two schools of thought. The first school is the (break em down through repetition) crowd who is used to passively being coerced into purchasing decisions (the typical Television watching Consumer). The other (from the new school of behavior) is a new breed of technologically-savvy super consumers who knows specifically what they want, how much they are willing to pay for it and don’t mind performing some comparative analysis in order to find the best value proposition (The Nimble / Instant Gratification Based Cyber-Shopper). In this instance when you considering your brand identity and brand value online, you should consider this internet savvy consumer and be able to cater to their attention and their needs (quickly and without the fuss) as corporate brands are gravely losing market share to smaller, more ambitious companies who embrace this exponentially growing breed of credit card wielding consumers “from The Hannah Montana Generation to the Gadget fanatics, that have to have the latest and greatest electronic Gizmos”. In this way, small businesses (utilizing aggressive internet marketing) have a distinct marketing advantage, they can quickly make changes, implement entirely new facets on a whim for an enhanced marketing campaign or target a new direction entirely with less bureaucracy than their corporate competitors. Granted, small businesses have to be more creative and value-conscious in their pursuits, but with the ability to leverage social media and create a lead generation or sales campaign at a fraction of the costs, it is only a matter of research and targeting the appropriate niche. Internet marketing is leveling the playing field that was previously leveraged by large corporations with deep pockets using traditional marketing channels (TV, Print, Radio) that they essentially funded (from the onset) into the booming categories and industries they are today. Ambitious smaller businesses however are poised to dove-tail on the successes of such established category leaders (every industry has one). These smaller more nimble businesses can essentially carve out niche-specific revenue generating business model as a result of narrow-casting vs. broadcasting and become profitable by services a specific need. The internet is truly fertile ground for this type of positioning, with the implications of niche marketing encompassing so many facets. For the sake of your internet brand, consider that playing it safe and conservative may not be your best move. Not everyone thinks the same way you do or uses common queries to reach your pages (as more than 30% of all search queries are unique). Hence, you should have enough depth (with your keywords) and your internet brand image to use modifiers (variants) to supplement the core message using a variety of established advertising cliches. Examples like “when one top 10 ranking is just not enough” with a picture of a basket of eggs is a perfect example of risk vs. reward (as it drives the message home with a simple tag line), while still making the point of a solution oriented proposition. Our brand (for example) is targeted at small businesses who are seeking competitive search engine optimization services. Most of the businesses we deal with are seeking to gain traction in search engines to compete with larger more established corporate brands (not through PPC or some other variant of internet marketing) through strictly organic means. 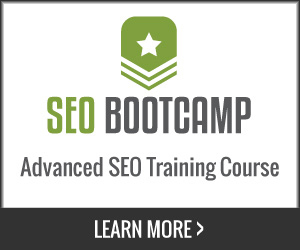 Why then why would we give away so much information about organic SEO on our blog for free? Because we know that positioning ourselves and our brand image as an authority is far greater than just relying on empty promises like we will rank your website in the top 10 in 48 hours, etc. and rule the world blah, blah, blah or make presumptions of top 10 placement through simple mood making. The premise of being able to rank our own site amidst the arguably most competitive market online (the SEO industry) makes most other markets a cake walk in contrast to the competition. We also know that when it’s time to “get your click on”, that actions speak louder than words and there is no stronger method that using a variety of marketing mediums to increase exposure and popularity to attract the largest potential clients for your brand, which is why adding an image or playing on words sometimes is enough to “stand out in the crowd” (another popular cliche) to leverage your business online. To reinforce our brand value we use visual aids, targeted keywords that are themed in nature and function. This is why our brand image (on our blog) oftentimes incorporates images of hip, younger urban business professionals challenged by competitive circumstances and situations, hence the name SEO Design Solutions is reinforced. Not to mention, the fact that our company (for example) offers custom designs and programming to create optimized websites, as well as provides strategic search engine positioning services is encapsulated in the name (as well) to produce well-rounded internet brand development, which is important in attracting the right customer base (decision makers with competition chomping at the bit). So, are you taking full advantage of your online advertising and marketing strategies that could yield tremendous exposure for your business? What about a clever link-baiting campaign (using Stumble Upon or Digg) where a play on words and the right image could potentially toggle a stampede of traffic to your pages. Social media fused with a strong organic SEO campaign can increase link popularity, toggle significant spidering activity from search engines and produce lot of referrals for your business. It’s not always about making a killing the first time around, depending on your business model, trust is a key ingredient and unless you have spent time investing in components that convey that, your best bet is to establish it through mediums that are cost-effective (such as a Blog to bridge the gap between your industry and your prospects). Aside from that, if you have tens of thousands of dollars lying around, you could always create brand awareness through traditional means such as newspapers via PR, radio or television advertising, but why look a gift horse in the mouth when it comes to internet marketing and the potential it has to lead qualified traffic to your door. It’s not always who you know, it’s who knows someone that is looking for a service like yours (a friend of a friend told your cousin’s brothers sister about a website who then told you). Rest assured, when someone in need requires a service similar to yours (from their social circle) then that is where brand value is established and referrals occur as a result of exposure through press releases, articles, social media, PPC or organic search results. In closing, you can never count out any one of those blips on your stat counters or analytics tools when attempting to distinguish ROI and just how such equity may yield a favorable return from using internet brand imaging and internet brand development over time. Hi,thanks for sharing the information regarding to internet branding.Really a nice article!I found it very informative and useful for me.Thanks again for sharing the information…..
Great post! That is a ton of valuable information. Of course it only just begins to give you an idea of just how technical internet marketing and search engine optimization actually gets. I am worried I may never fully wrap my head around it!